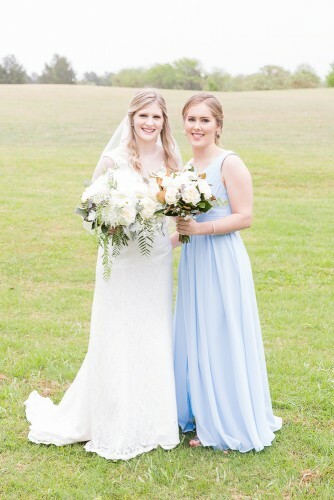 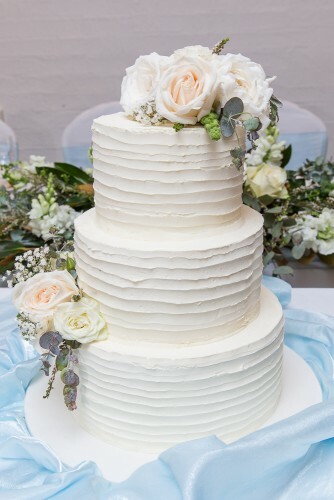 Megan and Timothy chose an elegant selection of all white blooms and seasonal berries and foliage to contrast with the bridesmaids pastel blue outfits. 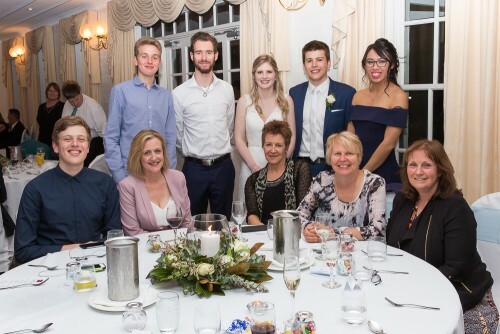 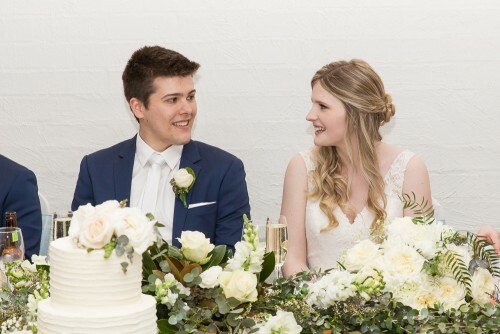 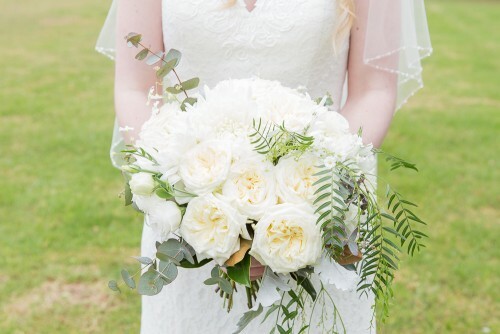 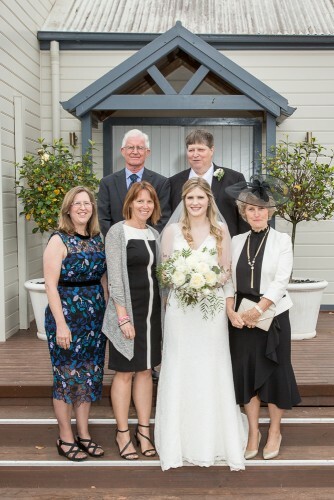 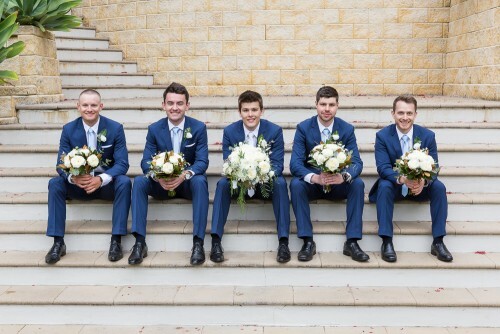 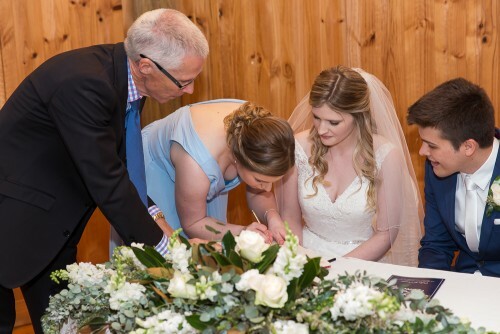 The chapel featured a simple low signing table arrangement and the reception room held just a few steps away at The Crowne Plaza in Hawkesbury was decked with wreath arrangements and a full length bridal table of Australian bush land foliage and blooms. 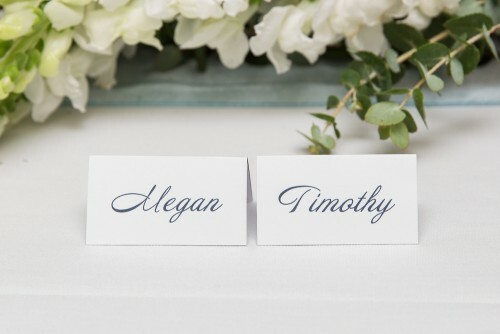 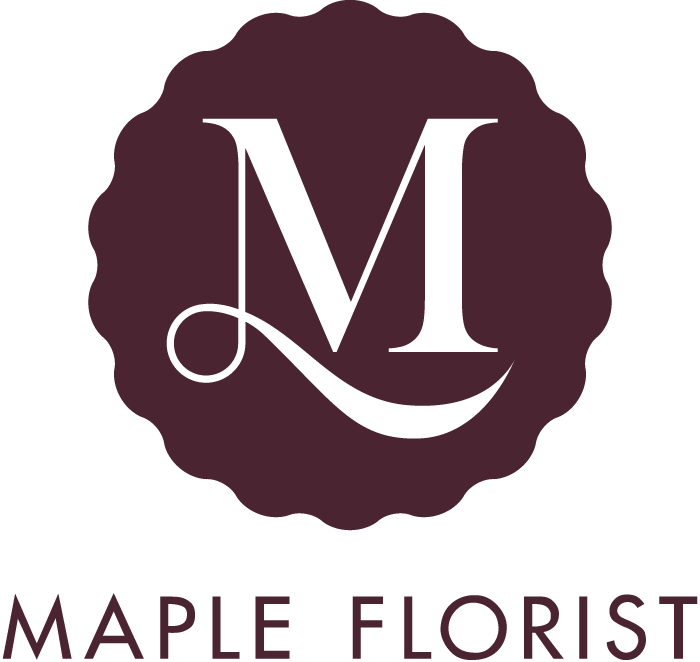 A pleasure to be a part of Megan and Timothy’s special day.